Researchers investigated the effect of protein bedtime snacks on muscle recovery, energy expenditure, and appetite the next morning. Proteins are food products that contain amino acids. Amino acids are essential for bodybuilding, healing and repair, and the overall development of the muscles. They also supply fuel forenergy. Some foods rich in protein include cottage cheese, poultry products, milk, eggs, meat, and fish. Many people, especially athletes, take protein shakes and supplements in the liquid form in order to regain energy and vitality. Over the years, several studies have shown the importance of these protein shakes, snacks, and supplements in respect to muscle recovery and energy expenditure when they are taken as bedtime snacks. But do protein bedtime snacks have the same effects as protein liquid supplements? In a recent study published in the British Journal of Nutrition, researchers examined the effects of whole-food bedtime snacks on metabolic rate, muscle recovery, and appetite the next day. They studied these effects in young active women in their 20s at the University of Florida in the United States. For the study, they divided 10 active healthy women with normal body mass index into three groups and studied them overnight for four consecutive days. The first group was given a cottage cheese, which contains casein protein. The second group received a liquid beverage with casein protein, and the last group received a placebo beverage with no nutritional value but made identical in consistency to the beverage with casein protein. The sleep time and conditions were the same for all participants. The researchers measured resting energy expenditure after the bedtime snacks and upon waking up in the morning. They also collected data regarding appetite as described by the participants. Whole-food protein had the same effects as liquid supplements The liquid casein protein is mostly a processed supplement which is faster and requires less energy to digest compared to the whole-food protein (cottage cheese). Whole-food protein digests slowly and requires more energy to digest. This is why the researchers hypothesized that the whole-food protein will produce greater resting energy expenditure soon after consumption and the following morning, which would increase metabolism better compared to the processed liquid casein protein. However, the results of their findings revealed otherwise, causing them to reject their hypothesis. 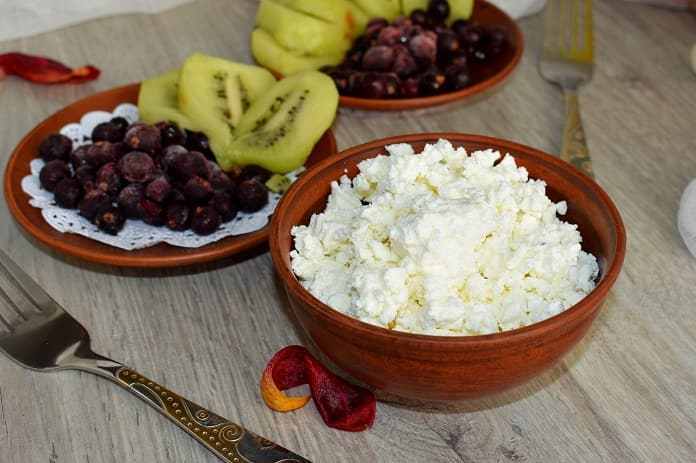 In their study, a follow-up on the participants the next morning showed that the energy expenditure after both the whole-food (cottage cheese) protein, the casein protein, and the placebo were the same on both immediate and next-morning effects. The study concluded that there is an overall improvement in body composition with consumption of a high-protein diet in the participants that received whole-food protein and liquid supplements. There were also changes in their appetite, satiety, and muscle protein synthesis and recovery. This study is in support of several previous studies showing that high-protein diets can benefit in fat loss when energy diet is restricted. This helps to promote weight loss, retain lean body mass, and improve metabolism and muscle recovery. However, this is one of the first studies in nutrition where participants consumed a whole food instead of a protein shake or a form of supplement. The next time you are considering having some bedtime snacks, a whole-food protein snack like cottage cheese would be a great option. Leyh S, Willingham B, Baur D, Panton L, Ormsbee M. Pre-sleep protein in casein supplement or whole-food form has no impact on resting energy expenditure or hunger in women. British Journal of Nutrition. 2018;120(9):988-994.